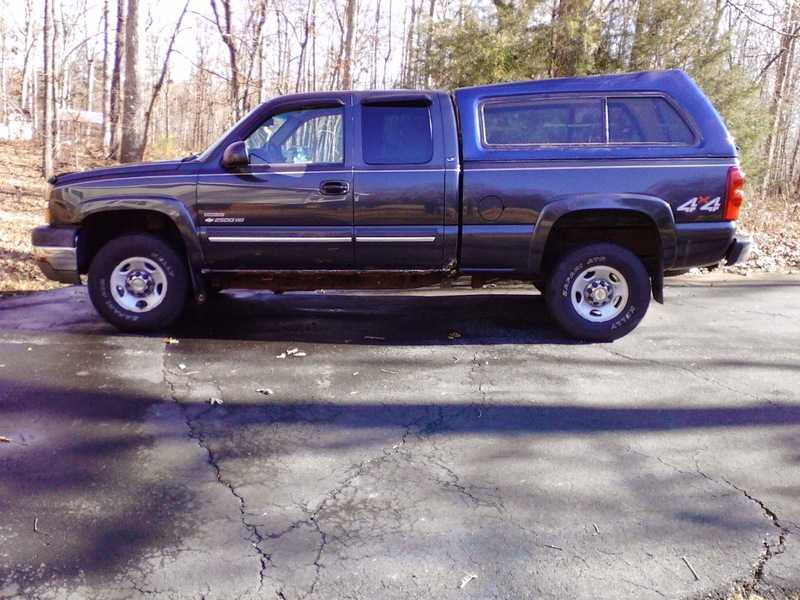 2003 Duramax just under 128,000 miles "never plowed" use to tow tin teepee's and cargo trailers. Good rubber for driving , not good for mudboggin'. Needs some work I.E. I'd replace brakes, rotors and lines. This vehicle has been fully customized in New Yorkisstan for lighter running by the department of transportation's aggressive road salt applications. Car fax ,when I purchased showed it had never had a reported accident. Towing MPG depends on load. But my recent trips down from NY'stan avg 14 MPG with a loaded truck and 16' cargo trailer. You'll run avg of 400 miles per 26 gallon tank of fuel. I also use a fuel stabilizer. I took it off the road this past Labor day before returning to NY'stan as the registration was due to expire. I have most of the repair and service paperwork.